Social media is a powerful tool for companies looking to connect and engage with both current and prospective clients, while establishing trust and loyalty in their brand. As effective as it is, being on social media is also a double-edged sword: it allows you to have fantastic exposure, while simultaneously giving anyone and everyone an open window to your business, for better or worse. For the raving reviews, it’s obviously a welcomed win- but what happens when something goes wrong? 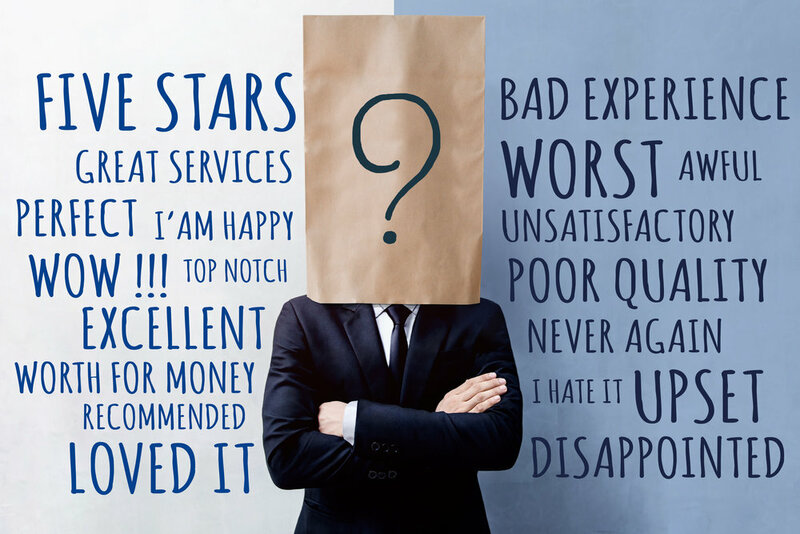 It’s important to remember that for every positive review, there can also come negative ones from unhappy customers, disgruntled former employees and Internet trolls with too much time on their hands. And yet, that’s OK; it’s not about getting the negative comments or reviews- but how you handle and respond to them that can make or break your company’s reputation. Be sure to never remove or ignore negative comments or reviews, even if you are certain that someone is explicitly trying to abuse you or your brand without cause. Ignoring the comments not only has the potential to make the customers even more frustrated, but also shows a lack of care to those waiting to see how you respond. And in fact, negative comments are not necessarily the worst thing in the world; they show that your company is made up of real, everyday people, who just like their customers make mistakes once and a while. Despite this seeming negative, it can actually humanize the company and help to strengthen the brand- as long as it is dealt with accordingly. So you want to make lemonade from lemons, right? Then, don’t get sour online. We know it’s difficult to not take negative comments personally- especially when you have been working hard to keep your customers satisfied and grow your business- but it is vital to respond in a professional manner. Keep a respectful demeanor and even for the rudest of customers (or trolls) try to keep a sunny disposition. Remember, once it’s online, it’s out there forever, and a company can easily go viral for responding to an issue with grace… or tactlessness. Thanking people for their opinion, apologizing for inconveniences, and even encouraging private messages are all ways to show you care about the customers opinions and experiences. Finally, this is your time to shine. Always make a public effort to remedy the issue at hand, showing those paying close attention that you strive for excellence even in the face of adversity. Of course no one likes to have a problem to complain about in the first place but if handled respectfully and in a timely matter, people often appreciate the effort and overlook an isolated situation. In many situations doing so may have saved you a lost sale and helped you to win a lifelong customer. Is getting negative reviews fun? Never- but we all understand and accept that it’s an unavoidable risk when operating a business, especially with a social presence. That being said, it’s worth the attention and connection with your audience if you can manage the infrequent negativity successfully. Maintaining your online reputation is no easy task - we totally get that. Finding someone with the time and expertise ( hint: MOXY Company ) to keep your online reputation in place is a vital part of any marketing strategy. If you’re not sure where to start, how to monitor your online reputation or how to respond, let us help! Your business can come through with shining colors with the right strategy.